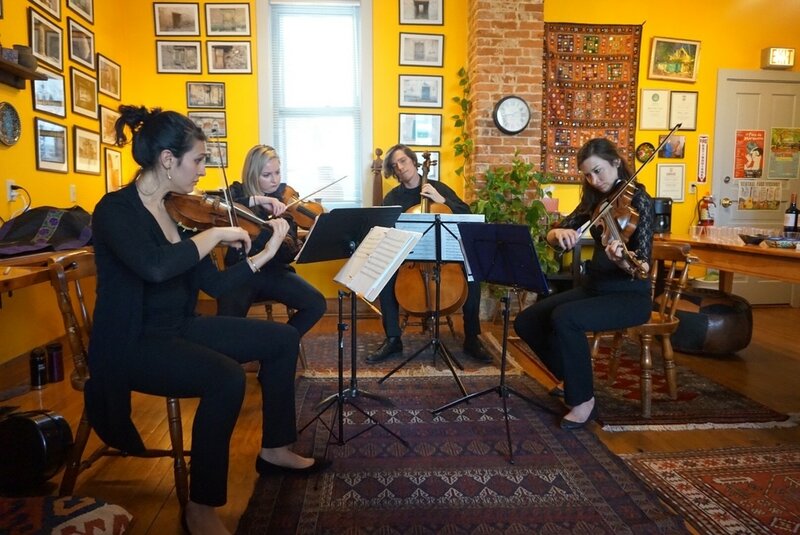 Experience the Willy Street Chamber Players in "up close and personal" in a more intimate setting. Help us celebrate "the first lady of civil rights" as we perform Daniel Berard Roumain's exciting "String Quartet No. 5: Rosa Parks." Don't let the cold weather keep you away from the intimate, cozy seting of "A Place to Be" community center on Williamson Street. Tickets extremely limited. Daniel Bernard Roumain String Quartet No. 5 "Rosa Parks"
Help the Willy Street Chamber Players say THANK YOU to A Place to Be Madison for the generous contribution that helped make our inaugural season possible! Tickets to this intimate event are VERY LIMITED and WILL NOT be sold at the door. Special surprises and 2016 summer season preview announcements!